It may sound a bit strange, but one of the most important classes I’ve taken in my life was on posture. The class was on the Alexander technique, specifically, and it’s influenced how I interact with the world around me every day since. I’m far from a master of the technique, so I’m not going to try to pass on any nuggets of wisdom on how to go about it, but I do want to share one of the most important lessons it’s taught me: how I arrange my body drastically influences how I feel. If you’ve seen Amy Cuddy’s TED talk on that topic, then maybe this is old news. (If you haven’t seen that, by the way, watch it right now. I’ll wait here for you.) But take a moment to consider whether you’ve actually acted on what she says, and what the effects of doing so could be. I first realized how much of an effect my stance had on my emotions and stress levels when I began teaching. Most jobs are a bit tough the first year, as you get acclimated, but teaching can be brutally stressful—there’s a reason public speaking is so commonly hated, isn’t there? It’s a rare talent to be at ease when you know that everybody in the room is watching you and, in some way in another, judging you. Tension sky rockets, hearts pound, minds go blank. In order to be an effective teacher, you have to learn how to keep yourself calm in the face of that. The quickest route, I found, was posture. The more relaxed and well-aligned my body was, the more clearly I could think and talk. 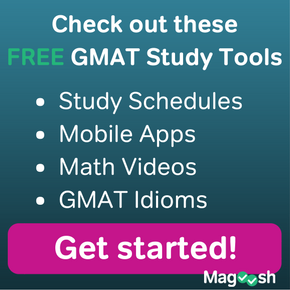 It’s not tough to draw the line from there to the GMAT. 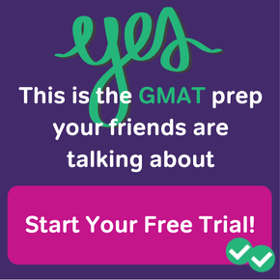 There are few experiences so anxiety-inducing as a standardized test, especially one that’s infamously difficult and has a concrete impact on your career options. Clearly, thinking straight during the test is key. But clear thinking is not just a function of how smart or experienced you are. It depends heavily on how you feel in a given moment. If you are more confident and relaxed, then you will, without fail, be closer to the top of your game. 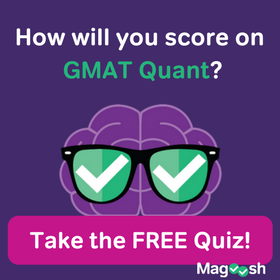 So during your GMAT, sit back. Feel the width of your shoulders spreading out and away from your spine, the weight of your feet planted firmly on the floor in front of you, the flexibility and direction of your neck. Breathe deeply. Act like hot stuff, and conquer the test in front of you.